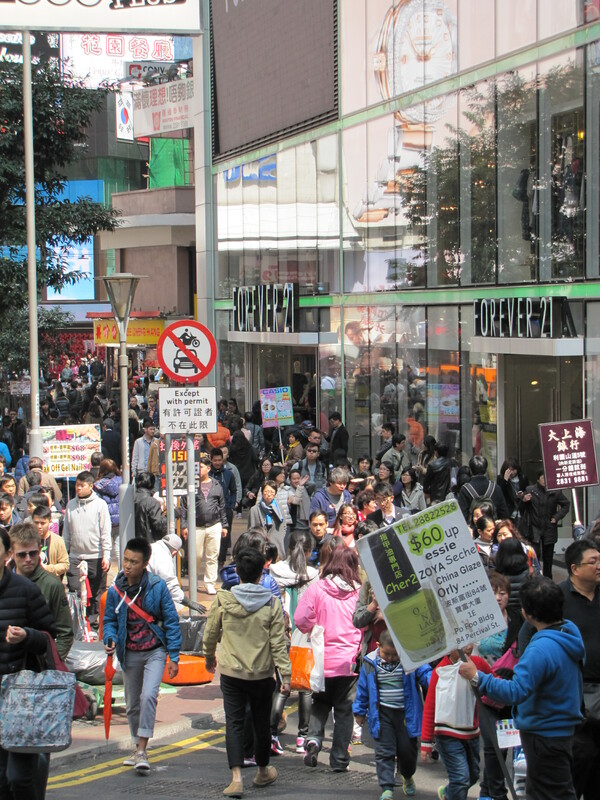 Unfortunately (or fortunately, depending on how you look at it), I spent some time during the planning of my trip browsing through La Carmina’s Hong Kong posts, which feature many trendy shopping areas. 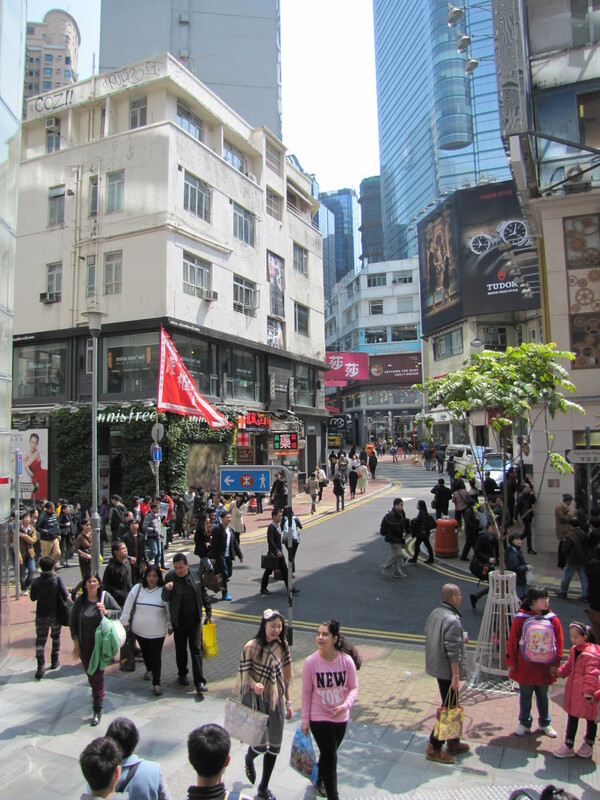 So, besides the Hong Kong street markets, I spent a lot of time wandering the trendy urban cityscape in search of fashion and food. My first stop was the area around Central Station–after all, if you’re trying to discover the heart of a city, what better place than the very center of it? I spent a good bit of time wandering around Central. 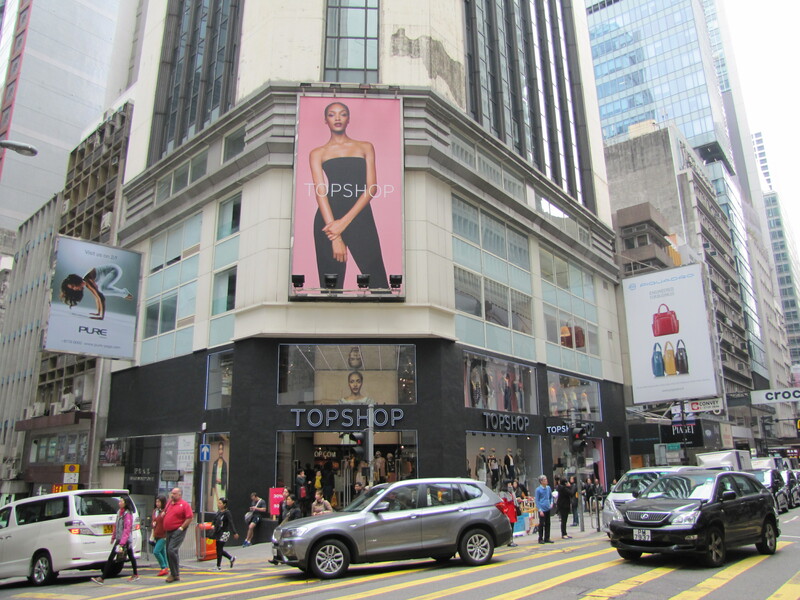 Like much of Hong Kong, you are surrounded on all sides by tall skyscrapers, and it feels like on every corner you have a Seven Eleven or a Sasa (cosmetic store), making it hard to orient yourself, without any distinctive landmarks. 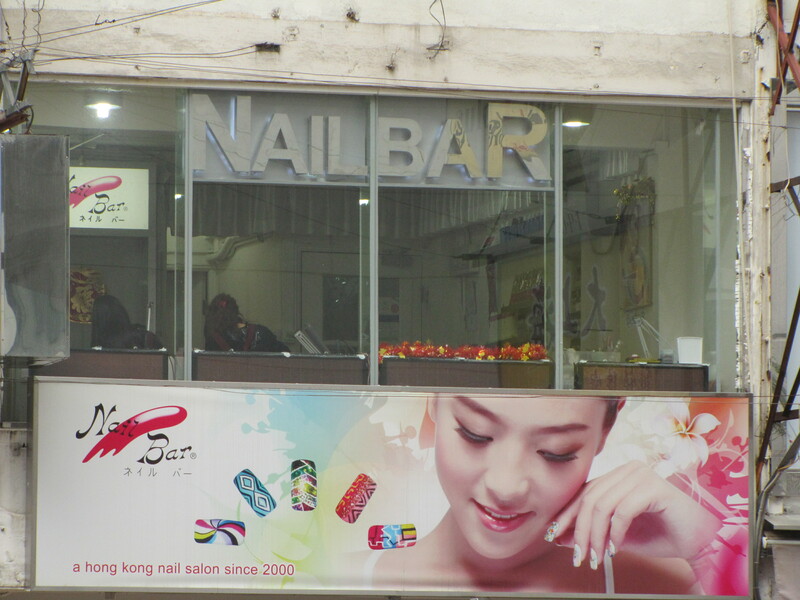 Interestingly, the area was a hodgepodge of luxury brand stores and cheap back-alley shops and massage places. In general, when I go to a part of a city that may have more high-class clientele, the surrounding area is accordingly more luxurious, more exclusive. Not so in Hong Kong. The crowded nature of the city keeps any one area from becoming exclusive. However, all the stores ended up being places I either wasn’t too interested in, or I that couldn’t afford. It would be nice to explore farther away from the stations, to see what I can find off the beaten track, but I’m not totally confident I’d be able to find my way back. 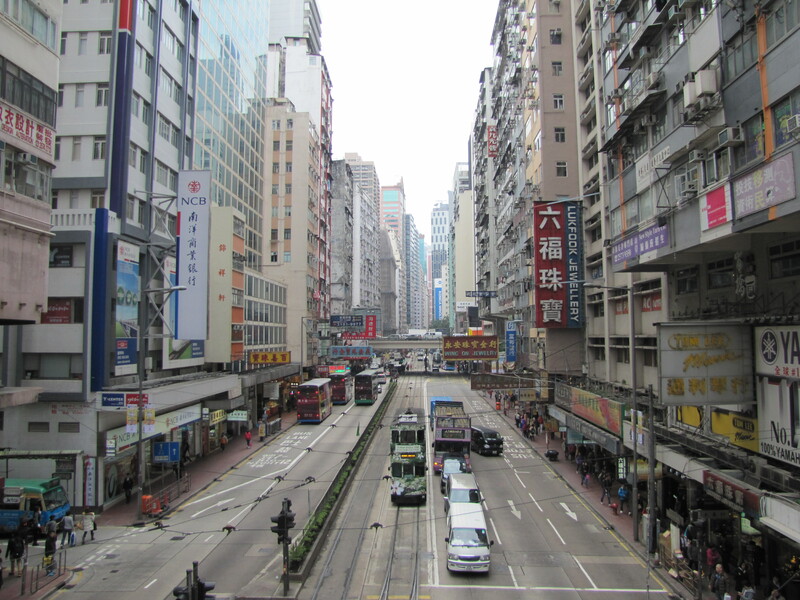 So, after being slightly disappointed by Central, I headed to Causeway Bay. 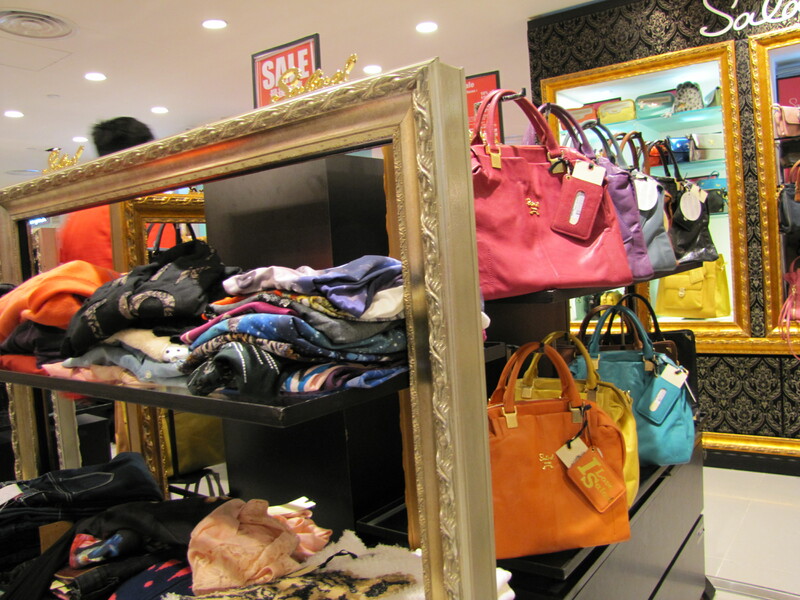 Probably my favorite shopping place I went to was the SOGO department store. I somewhat regret not buying something really cute and unique, but everything was rather pricey and I was there on a budget. 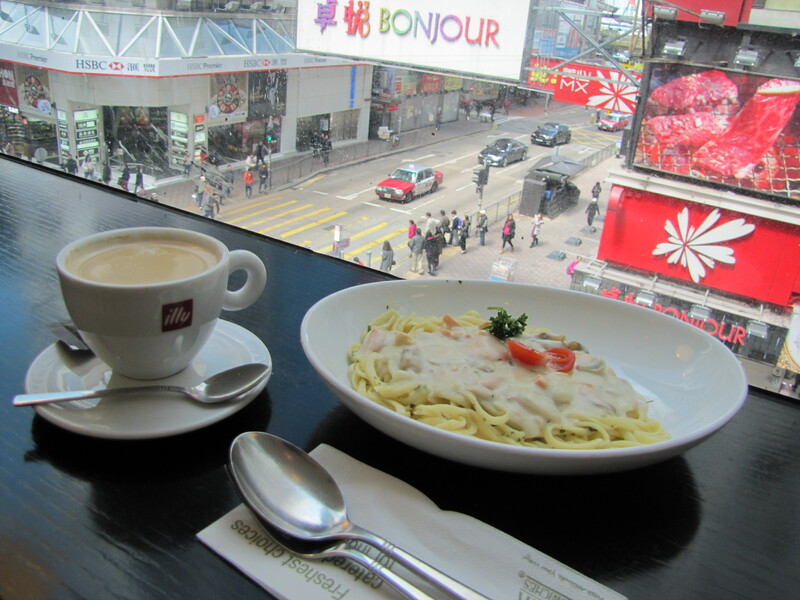 After browsing the department store, I was starting to get hungry, so I wandered outside in search of some lunch. Where, oh where, could I get a bite to eat? 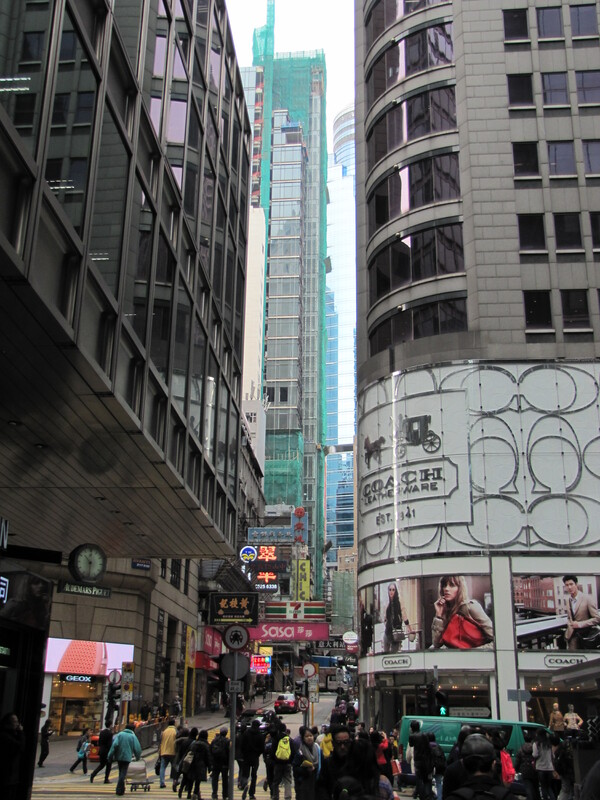 The thing about Hong Kong and many other Asian countries is that you gotta look up. Some of the best places may be several stories above your head. I found myself at a little sandwich shop on the third floor of a building, got a coffee and some pasta, and then stayed around a bit more to write in my notebook, with the street view below for inspiration. The food wasn’t too fancy or anything, but at least it was cheap. 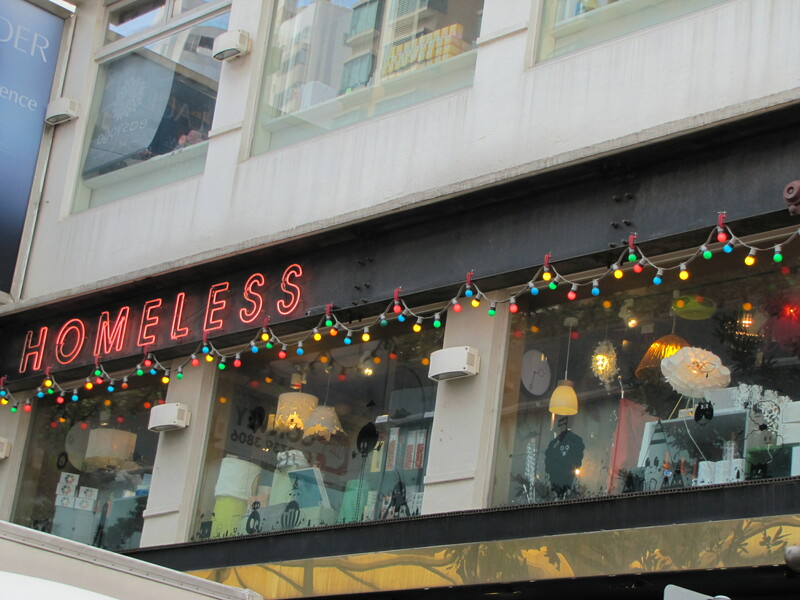 Causeway Bay did have some very trendy stores and possibly one of my favorite book stores in the world, Eslite. After lunch I went to each of the many different levels of Eslite and the surrounding area to see what the trendy people of Hong Kong were into. It would seem Forever 21 is popular worldwide. 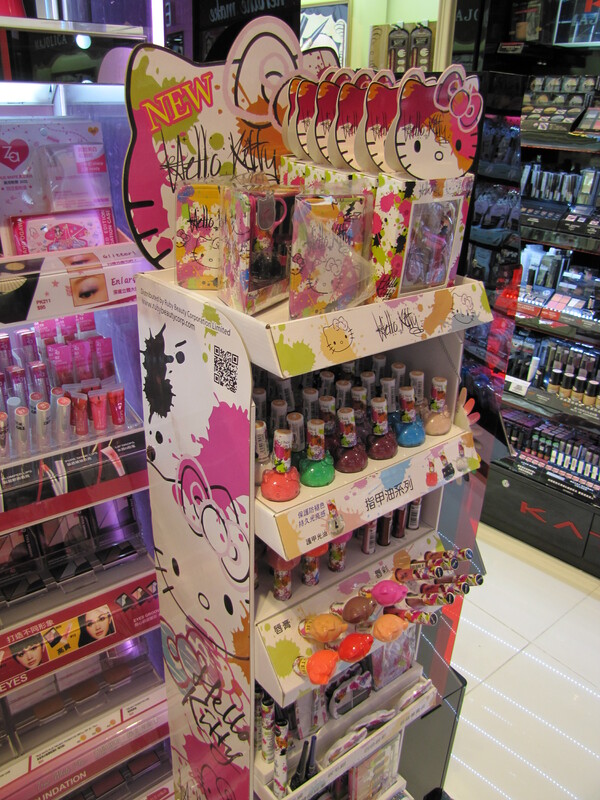 Korean cosmetics and gel nails are also really trendy these days. I, myself, am a Korean skin care convert. (I don’t know what I’ll do when my Nature Republic BB Cream runs out. Order online?) 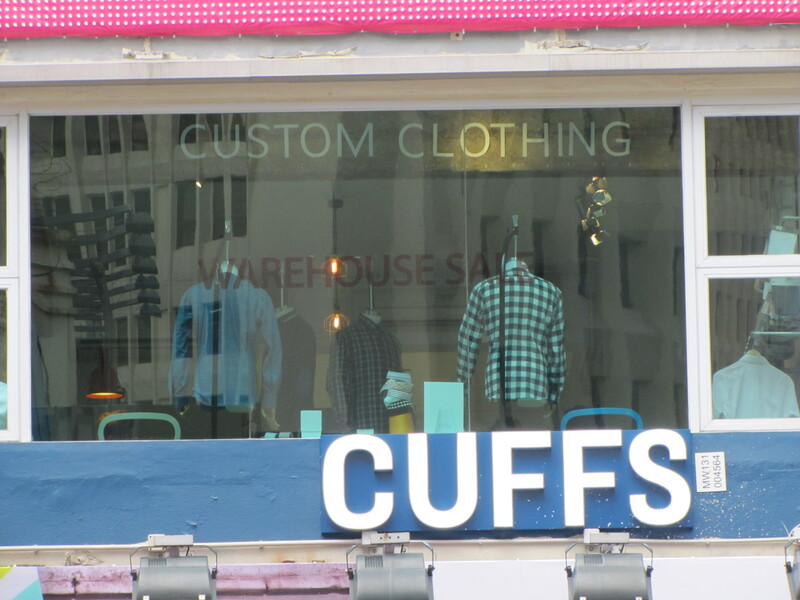 Hong Kong’s got style, but if you were to ask me what makes it unique, I can’t really put my finger on it. Maybe one day I’ll go back and find an answer to that question. 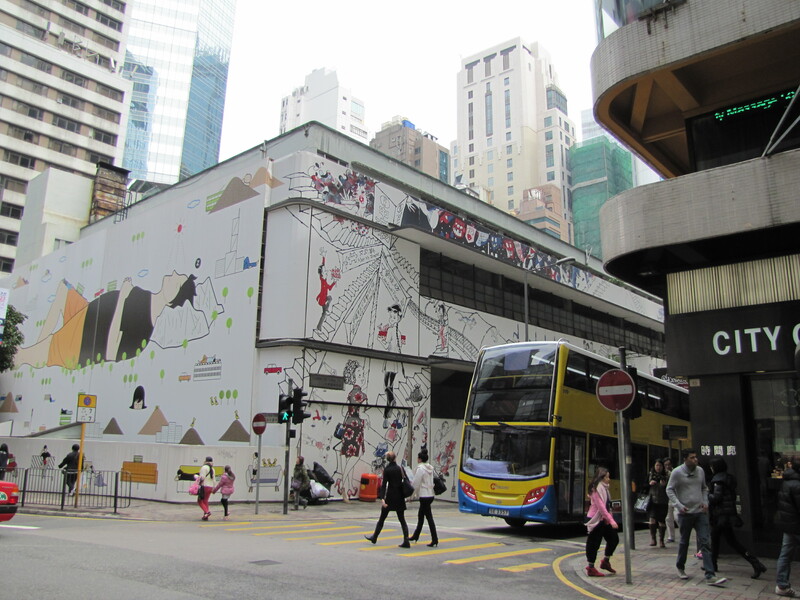 Thanks for taking the time to read through my little impressions of Hong Kong! More to come soon! 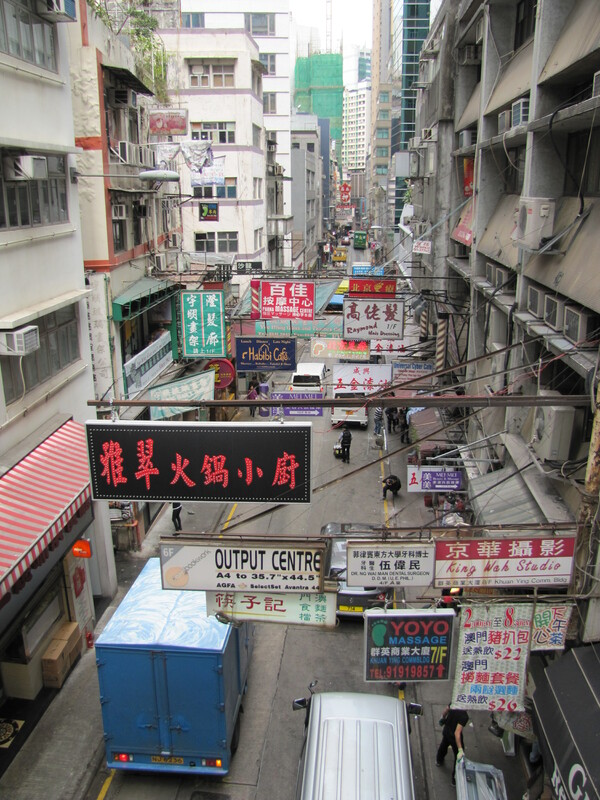 This entry was posted in Uncategorized and tagged Hong Kong, Shopping, Travel. Bookmark the permalink.